All matches will be held in IPIC Arena hall. At 11:00 A.M for Man & women on the same date of the weight. 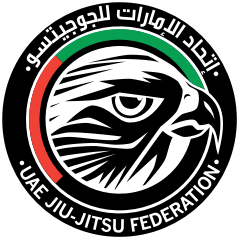 Article (2): the registration will be done by UAE Jiu-Jitsu Federation via website. Article (1): The following are the weight categories and age groups. Article (5): – The athlete will be weighed with GI for competitions, check chapter 10. 1 entry – no contest (or category combining / moving up fighters). 2 entries – best of three contests (or category combining). If it is 2-0 then the third contest will not be fought. 3 entries – round robin, pool of three (or category combining). 4 entries – round robin, pool of four. 5 entries – round robin, pool of five. 6 entries – two pools of round robin, each with three players. Top two players from each pool progress to the semi-finals with the winner of Pool A fighting the runner-up from Pool B and the winner of Pool B fighting the runner-up from Pool A. 7 entries and above - Double elimination with eight finals repeache. The athletes defeated in the eighth finals will compete for bronze medal, single elimination system will be used to produce the third place. PS: For Country Qualifiers Single elimination will be applied. After losing a match in the qualifier draw, a participant is out of the main brackets division and out of the competition. if less than 6 fighters Round Robin will be used. Over 7 fighters and above Double elimination will be used. Runners up on the eight finals and quarter and semi finals, fight for 3rd place repechage. “Round Robin” Is defined as a system where each competitor will compete against each other. Third criteria (in case of an equal number of wins): The highest sum of winning score points will decide. Example: Red scored two points and one advantage and Blue scored two points and zero advantages: the advantage is defined as the winning score (1 point) for Red. 4.Fourth criteria (in case of equal number of wins and sum of winning score points): Direct comparison. Sixth criteria (in case of equal time): Weight at the weigh-in. The competitor with the lower weight is defined as better. Seventh criteria (in case of same weight): Decision matches. A knock-out system between the involved players will be used. A new draw has to be performed. In the case of 6 competitors or less: a round robin system produces the gold and silver and one bronze for the 3rd place.